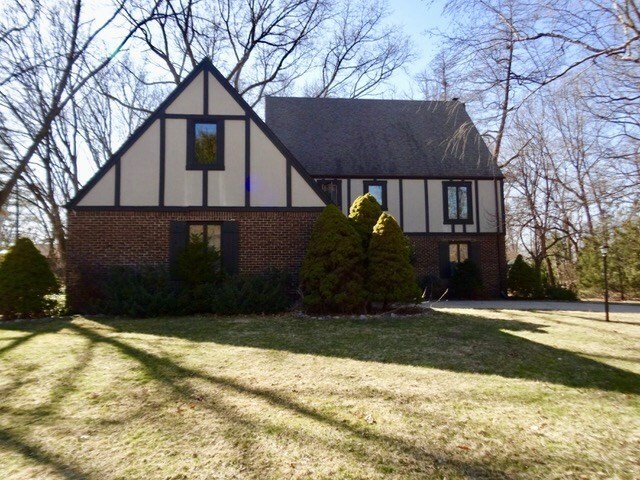 Prestigious Tudor style home in sought-after Knollwood West! Spacious living areas and flex rooms, including a 3-season room that is the perfect setting for your morning coffee. The main level is well laid out for entertaining with a spacious kitchen with plenty of prep area, a formal dining room, den/office, convenient half bath, and laundry facilities. 4 bedrooms upstairs including master with en suite bathroom. Beautifully landscaped private backyard will be sure to help you enjoy all the seasons have to offer and the 5-zone self-draining irrigation system will keep your lawn and landscaping looking picture perfect. Make your appointment today before this Knollwood gem is gone!